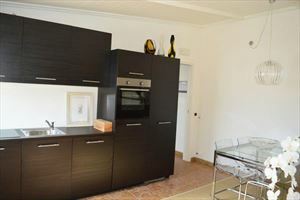 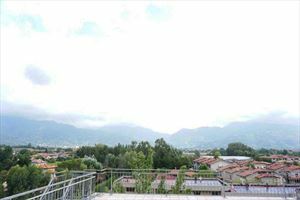 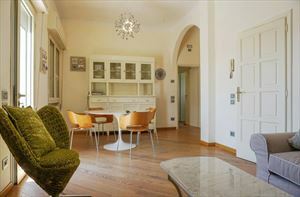 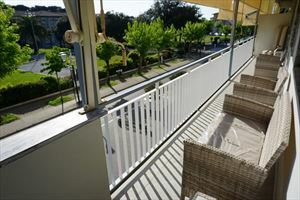 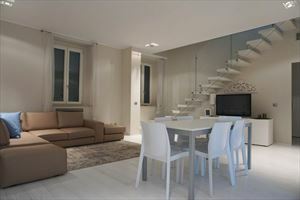 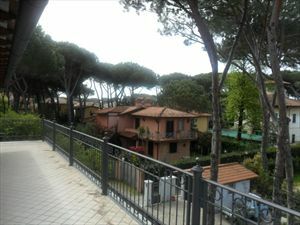 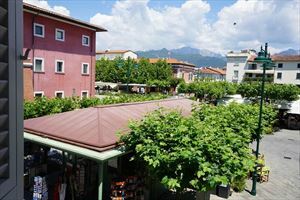 An admirable apartment in Tuscan style is in the historical center of Forte dei Marmi, 150 meters from the sea. 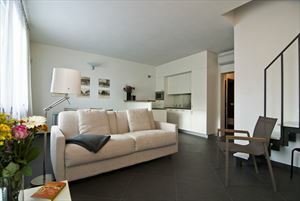 On the ground floor, there is a laundry, a space for bicycles. 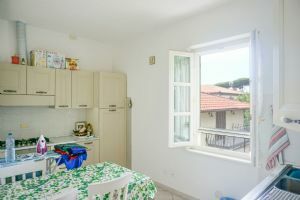 The upper floor comprises a living room with a dining table and access to a spacious terrace with outdoor furniture and plants and flowers, kitchen with dining area, two double bedrooms with en-suite bathrooms, one with a bathtub and the other one with a shower. 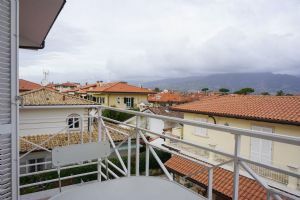 The mansard consists of a sitting area, single bedroom, bedroom with twin beds and TV, bathroom with shower. 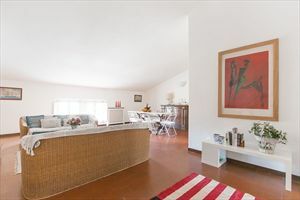 The apartment is equipped with air conditioning, satellite TV.